I shelled my edamame for today's recipe, but even though they didn't pass through my lips, the beans still slipped out of their shells and squirted into the bowl. A couple of them even landed on the counter, and one on the floor that my dog Emma gathered up before I could get to it. Edamame have a sense of humor, don't they? When it comes to mixing salads, I always start with less and add as I go. This goes for the dressing, the accompaniments, even the lettuce. Just use your hands and add what feels right. 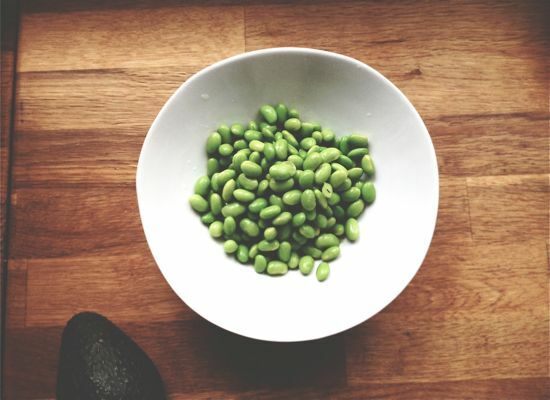 If you buy shelled edamame you'll save yourself some time, otherwise, resign yourself to standing over a bowl for a few minutes squirting the little beans out. To deepen the flavor of the bread, drizzle some sesame oil in the pan with the oil, too. 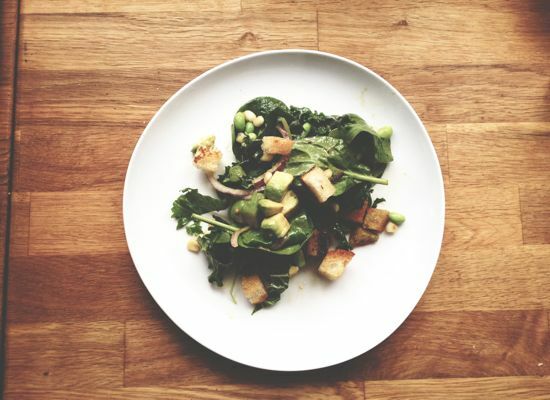 To make the dressing, whisk together the soy sauce, sesame oil, ginger, honey, and crushed red pepper flakes. Slowly whisk in the vegetable oil until the dressing is emulsified. When it comes to putting together the rest, you can use more or less of the suggestions above, depending on how much salad you'd like to make. First, make the breadcrumbs by coating a skillet with extra-virgin olive oil. Add the breadcrumbs and be sure each piece is well coated. Cook on low heat for about 15 minutes, or until they're golden brown. Pour into a bowl and add a bit more oil to the pan, some crushed red pepper and a squirt of honey, if you'd like a touch of sweetness. 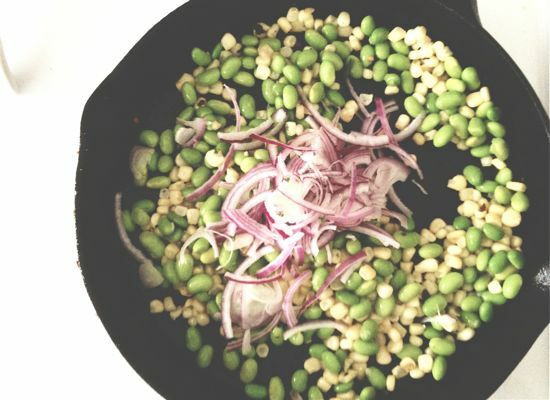 Add the corn, edamame, and onions to the pan and season with salt. Cook just a few minutes, until everything is warmed through and slightly softened. Now it's time for assmebley. In a large bowl, add the cooked vegetables along with some of the breadcrumbs, avocado, then the lettuce. 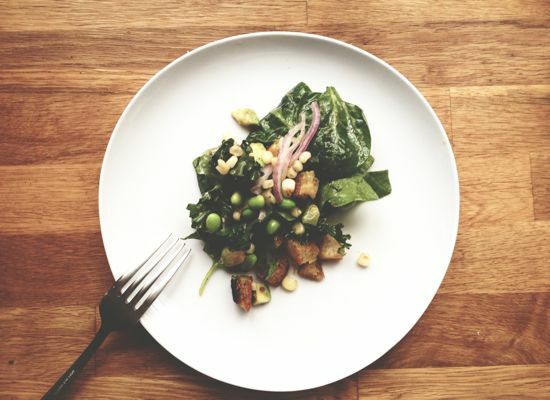 Drizzle on a few spoonfuls of the dressing, then use your hands to combine it all well. Add some sesame seeds, if using, then plate and enjoy.